Being an entrepreneur is amazing because there’s this incredibly supportive community of fellow entrepreneurs willing to share stories, insider knowledge, and support your growth. It’s by far one of my favourite perks of being a full-time business owner. But there’s one problem with this community that I want to work to change. So I’ve gathered a group of incredible people, including business owners, supporters of entrepreneurship, and people working within the mental health space, for a panel discussion on our mental health. We’ll explore why entrepreneurs are particularly susceptible to experiencing mental illness, how we can better support our personal and community mental health, as well as provide tips for managing your business while experiencing a mental health setback. Happening November 13 at WeWork Richmond West in Toronto, this is the In A Sequoia way of celebrating Global Entrepreneurship Week. I’m so excited to be joined by two powerhouse female entrepreneurs: Nitasha Goel and Nesh Pillay. 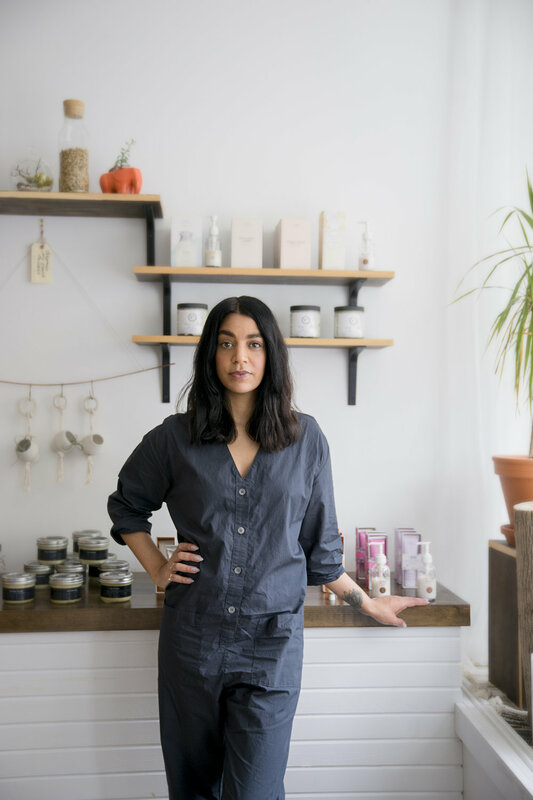 Nitasha started using natural skincare about eight years ago, which spiked her curiosity to look for cleaner brands to cater to her needs. Having a background in buying and sourcing meant she was drawn towards more unknown, smaller makers that were creating amazing products but did not have a home to house them in. This is where The Cure Apothecary started. A natural and organic head-to-toe skincare boutique for him and her. Nesh is the founder of Press Pillay - a socially-conscious digital marketing agency based in Toronto. Press Pillay offers an array of services for growing lifestyle tech brands. She is committed to becoming the Robin Hood of Marketing by taking from the rich and giving to the poor - or in her case, redistributing 10% of the agency’s income toward making the world a better place. Joining myself, Nitasha and Nesh will be Steven Cope from Rise Asset Development. Rise works to empower business owners with access to financing and business support. They are committed to improving the lives of people who are unable to secure employment due to mental health or addictions challenges. They invest in entrepreneurs with mental health or addiction challenges. I have one more panelist announcement coming soon - and I promise they are just as exciting as these three. But since tickets are already a QUARTER OF THE WAY SOLD, I figured I better tell you about it now so you don’t miss out. Get yo’ tickets!